Born in Oregon in 1974/1975, and raised in California, Jake Smith grew up listening to country music and punk rock. He studied history at university. The largest influences on his songwriting are folk singers such as Bob Dylan and Leonard Cohen. A baritone, Smith is known for his wide range in pitch within his singing, incorporation of whistling into his music (in place of the harmonica often used in roots music) and his lyrical references to God and war. His singing style has been compared to that of late singer-songwriter Richie Havens. The White Buffalo's first full-length album, Hogtied Like a Rodeo, debuted in 2002. This was followed by The White Buffalo EP, produced by Eels' Koool G Murder, which Smith states is about "relationships, love, loss and booze with a little murder mixed in." This EP was musically grounded in acoustic folk and country blues. In a friend's living room in 2008, he re-recorded the first album, dubbing it Hogtied Revisited. Musically, this 2008 album was a blend of folk, modern rock, and alternative country. When a bootleg tape of Smith's music made it into the hands of pro surfer Chris Malloy, one of his songs, "Wrong," was featured in his popular surf movie, Shelter. This eventually led to further film scoring and composing work, with many of his songs featured in FX's hit show Sons of Anarchy and Showtime's Californication. In 2010, a second EP, Prepare for Black and Blue, was recorded in six days by producer Jimmy Messer and released through Chad Stokes' Ruffshod imprint via Nettwerk Records earlier that year. Again, this was musically grounded in folk. The music and the artist captured the attention of Unison Music's Bruce Witkin and Ryan Dorn, who then signed The White Buffalo and co-produced Once Upon a Time in the West. This album transitioned to a more roots rock sound, whilst some songs still retained a folk style. In 2013, a fourth LP, Shadows, Greys, and Evil Ways, was released on Unison Music Group. This was musically a mixture of folk rock and some blues rock. The LP saw positive reviews including NY1 which stated, "Not since Neil Young's Living with War has there been so strong an artistic statement about this country's occupations." In 2015, the album Love and the Death of Damnation was released. Musically this was very varied, with several songs being grounded in roots rock, whilst the song "Chico" incorporated Latin music, "Last Call To Heaven" fused folk, blues and jazz, and "Come On Love, Come On In" was a soul song. In 2016 The White Buffalo gained enough popularity to inspire a cover group. 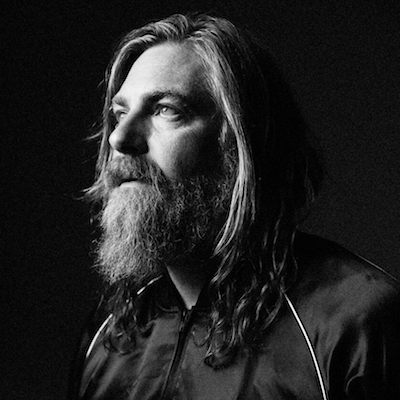 They played under the name Into the Sun, after a favourite song from The White Buffalo until they lost their guitarist Robert Elliot on April 16, 2017. In August 2017 Smith released two tracks from his then-upcoming album Darkest Darks, Lightest Lights, the singles "Avalon" and "The Observatory". The single "Avalon" was described by Billboard as an "expansive country-tinged rock song" and tells the story of a wayward man's trip to peace. "The Observatory" was a blend of soft-rock and country-folk. 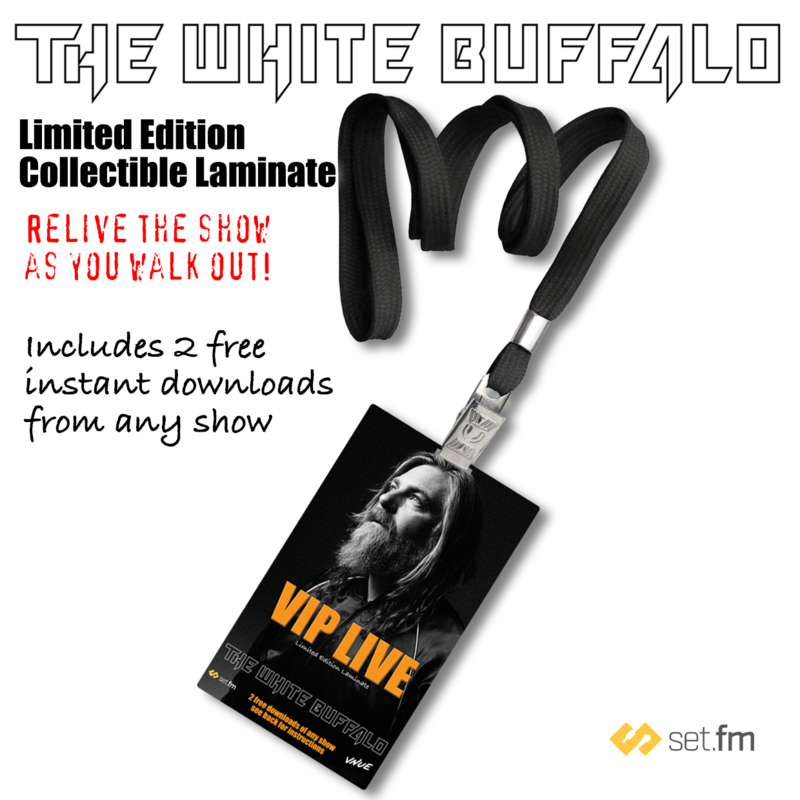 DiscLive, through our strategic partners VNUE and set.fm, are excited to bring you limited edition laminates, each which contain a code for you to download any two shows from the UK tour. YOU MAY PURCHASE NOW AND PICK UP AT THE SHOW YOU ARE ATTENDING OR HAVE IT SHIPPED HOME TO YOU!